The biggest thing that can put workers at risk during the winter? “Pushing through awful conditions,” says Abby Ferri, CSP. 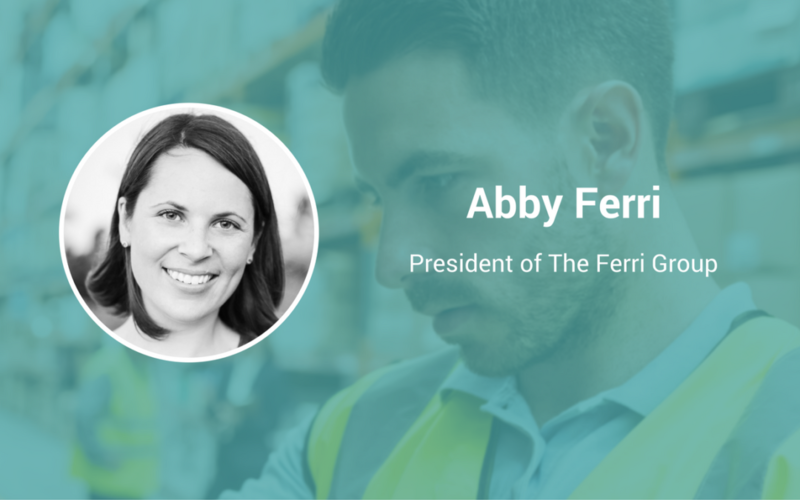 With more than 14 years of experience in safety and health—in industries including construction, manufacturing, healthcare, hospitality, beverage, and retail—Ferri is President of The Ferri Group. The Ferri Group provides practical and proven safety and risk management services to clients. Ferri has been described as the “practical and creative safety professional,” and it’s easy to see why! “It’s important to identify conditions when work should be limited or stopped. Working through severe weather may be less productive anyway than simply holding off for a nicer day,” explains Ferri, whom we spoke with to create a list of top safety tips for winter. 2. If the gear isn’t right, don’t let people work. Workers without proper winter gear and equipment should be given alternate assignments or sent home, says Ferri. Protection for the extremities is tough when the job requires dexterity. Construction workers, in particular, have limited options, but the market has improved. “Look for gloves that meet the needs of the tasks you’ll do while also providing warmth. Heat pockets can be a nice comfort to stuff in your pockets, mittens, or boots,” says Ferri. 3. Don’t let workers off the hook, either. If workers don’t have the right gear, you don’t want them to put themselves at risk. At the same time, make sure they know expectations given the season! “It’s good practice for them to have a set of warm and dry clothing and footwear throughout the year and especially the winter,” says Ferri. There’s nothing worse than being wet and cold with no change of clothes, and workers need to have good judgment in terms of planning ahead this time of year. 4. Adjust schedules. Give employees the ability to adjust their schedule so that they have extra time for their morning commute, or for any driving they might have to do throughout the day—especially if they are going to multiple worksites. Safety is more important than getting somewhere at a specific time. 5. Teach team members the penguin shuffle. When workers arrive on-site, ask that they do the penguin shuffle so that they can safely make it from their vehicle to the worksite or building. 7. Be sure to cover your mouth and nose. One mistake many workers make is neglecting to cover their mouth or nose. This helps to warm the air before it enters the nasal passages and lungs. “There are some really techy nose and mouth covers that recycle the warmed air throughout the garment, so those are options, too,” says Ferri. By following tips like these, workers can remain safe and healthy this winter. Ferri says she’s looking forward to a safe and prosperous 2018. She’s also getting excited about technology and EHS software that will increase the possibilities of improved and nearly instant communication, observations, corrections, and analysis. In the end, don’t take anything for granted with your workers! “Even the hardiest Minnesotans around here with decades of winter experience still can benefit from reminders on winter safety,” says Ferri. Safety Management Made Simple: iReport It! Move from a painful paper-based process to a data-driven approach that eliminates information silos to enable collaboration and action. Learn more about iReport, the all-in-one digital safety management platform that puts the information you need at your fingertips.